Sutherland’s has been blowing up my phone with garden club member plant sales and everyone is starving for any form of Spring. I have completely sold out of flowers (20 bouquets) in hours at the local coffee shop and had people wipe out my farm stand as well. Thus, further proof people need sunlight, the anticipation of spreading a few seeds in the dirt, and green life in their yards. This last weekend we had a small freeze, which I believe to be our last. Thankfully, everything was tucked in our hoophouse because I knew there would be one more. Last, year our last frost was APRIL 10th guys. I had the spring fever and planted out several 100 ft rows of sweet peas among other things, and that “late” freeze hurt. I had to reorder seeds and get them planted which put me behind the ball in getting things out early enough so the plants could establish or mature before the Texas heat set in. This year I have had the patience to keep my babies tucked in, and will be setting things out in the field next week. I have ONLY had the patience because I have the hoop house I have been planting things in there since September when I got it. :) Technically, our last freeze date for Burkburnett is April 12th but who can wait that long! Trees, shrubs, ground covers, vines, and perennials. Warm season turf grass from plugs, solid sod, sprigs, or seed. My dad just tucked in some to fill a bare spot. (for shade) caladiums, coleus, impatiens, begonias, nicotiana, hibiscus, pentas, firebush, and purple fountaingrass. Summer herbs continue to plant in beds, pots and hanging baskets. Warm-season vegetables, including melons, okra, black eyed peas, corn, squash, sweet potatoes, beans, cucumbers, eggplant, and tomatoes. Bristol got her 8 watermelons planted and she is so excited. She has been tending them so carefully, and I am teaching her not to OVER love her plants. Raise your hand if you have ever done that! I have killed many of house plants by over watering. One last thought - I realize that not everyone wants to plant an acre of flowers and veggies. 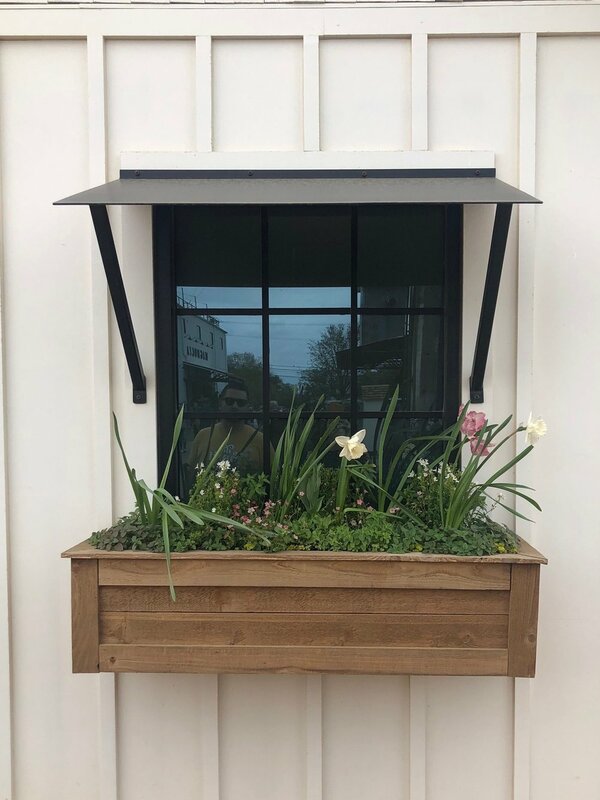 Getting outside and in the dirt is therapeutic and I encourage you to at least plant a small window box or patio pot. Last week, Blake had a work trip to Austin, TX which I snuck away from the farm to go with him. I asked if we could stop and see Magnolia because I haven’t ever been in the SPRING. 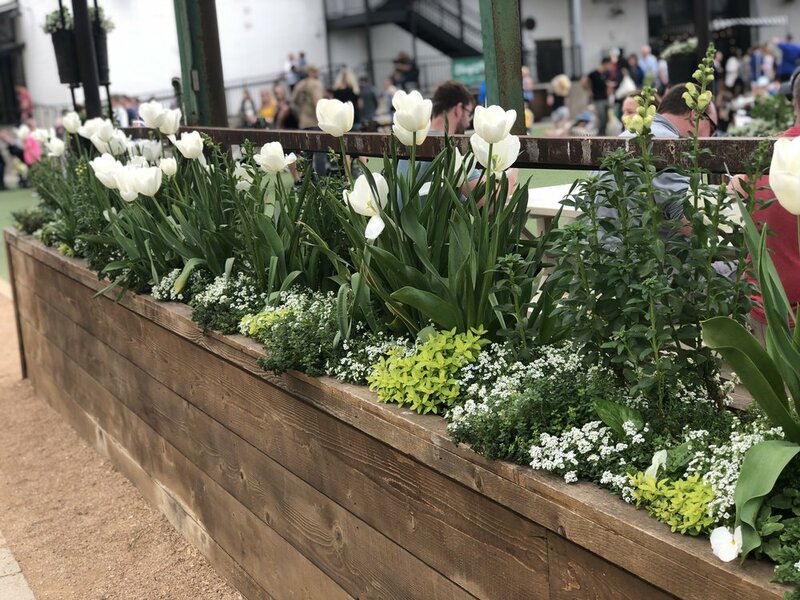 This is what planter box dreams are made of… wow stunning! I took all these photos at Magnolia and Blake better start building the window boxes for the farm house. Go get your hands dirty!